Boon Edam has announced its latest partnership with The National BIM Library. The fastest growing Building Information Modelling (BIM) library in the UK will showcase the entry experts’ two latest product releases; the Swinglane 900 Wide and the Speedlane 900 Wide. Following the UK government’s decision to make the use of BIM mandatory on all public-sector projects, BIM has altered the way in which buildings, infrastructure and utilities are planned, designed and managed. 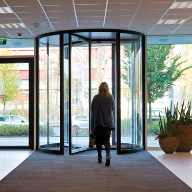 Boon Edam, the first manufacturer of revolving doors to offer BIM objects, has ensured its product range is readily available to support architects and contractors throughout their BIM projects. 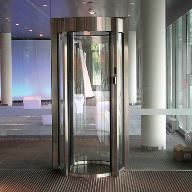 The Swinglane 900, is a fail-safe security barrier composed of slim, stainless cabinets, a glass swinging door wing and an advanced sensor system. The long detection lane creates accurate tailgating detection and high capacity throughput of up to 30 people per minute. 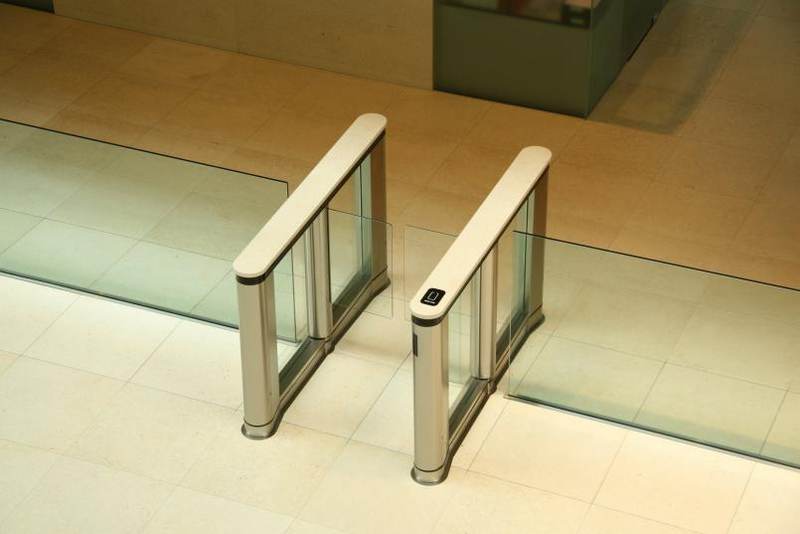 This product is designed to reduce the pressure on staff to track visitors, by accurately recognising that only authorised visitors can enter certain sections of the building. The Swinglane 900 allows for certain bespoke customisations to be made for clients requiring a unique style and finish. 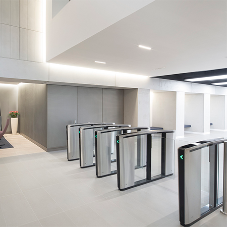 Like all Boon Edam secured entry solutions, the Speedlane 900 can be easily integrated with virtually any access control system. A high capacity throughput of 30 people per minute can be achieved due to the design of the quick sliding motion of the door wings. With multiple door wing heights available, it has been specifically created to adapt to the requirements of a security entrance system. The glass construction of the door wings and the rounded cabinet design ensures a comfortable, non-intrusive user experience. 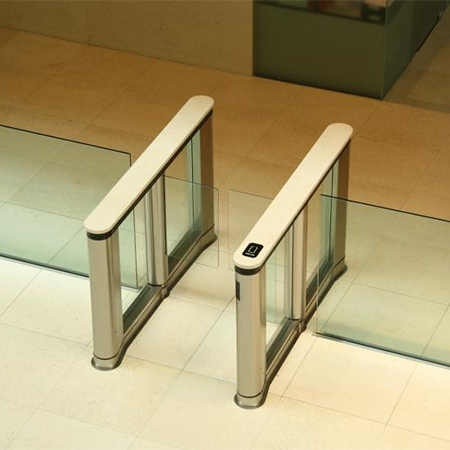 The Swinglane 900 Wide and the Speedlane 900 Wide are both compliant with DDA legislation; with both products providing suitable entrance solutions when catering for disabled access lanes. The width of the disabled access lanes can be adapted from the standard 500mm to 900mm, depending on the requirements of the building. This is achieved through the design of the two door wings, ensuring that the level of security is not compromised. Using its dedicated, internal Specification Managers and CAD technicians, Boon Edam can support its customers to ensure the correct products are specified at design stage helping to give greater clarity for all stakeholders across the project lifecycle. (01233) 505 999 Tech Dept.